It’s Our Birthday & You’re Invited – 15 Years & Counting! This is your official invitation to our Birthday Party Bash! We’re throwing a fun-filled Garden Birthday Party on Sunday, June 2, 2013 from Noon to 4 pm here at the Children’s Garden in High Park and we want you there to help us celebrate! 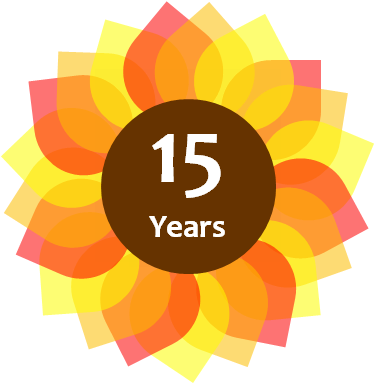 It’s hard to believe we’ve been around for 15 years! It feels like just yesterday when we started our first garden program in High park and our first hike on Toronto’s Discovery Walk Trails. 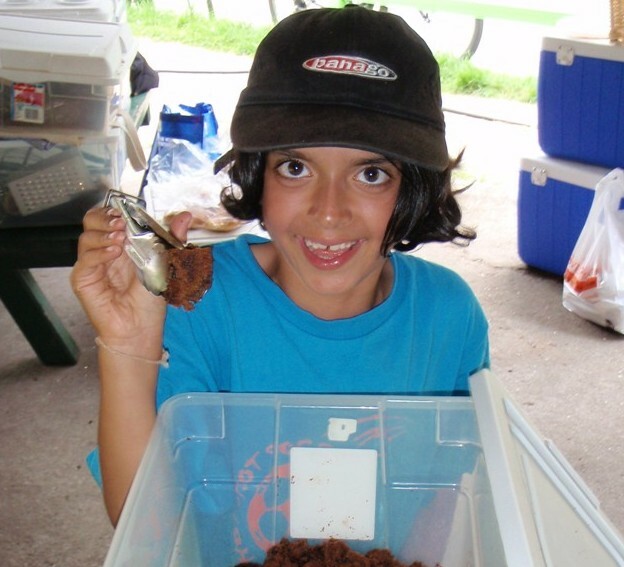 In the summer of 2000 we ran our first week of Eco Camp as a pilot project. We now offer four different camps, two of which run for 8 weeks of programming throughout the summer. Plus with the addition of our Children’s Teaching Kitchen we now offer environmental education programs throughout the year. 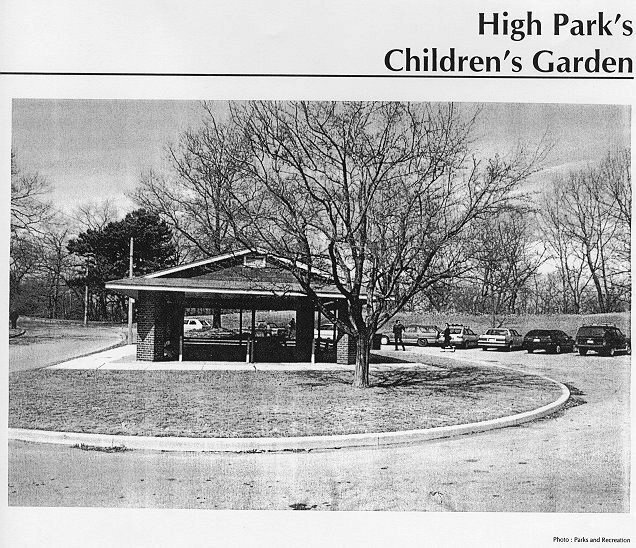 The High Park Children’s Garden was also a one year pilot project (we seem to have a pretty good track record with these 😉 ). It was created back in the spring of 1998 in an old, rarely used parking lot. The community had safety concerns about the south end of High Park so instead of increasing the police presence in the park the City decided to try something different. They wanted to build something that would bring the community back to the area. The City decided to add a Children’s Garden and children’s programs to the old parking lot and Picnic Shelter … I think it’s safe to say … it really worked! We now have over 5000 visitors to the Children’s Garden every year and that’s just for our programs. Many folks enjoy a walk through our Garden and kids love to run through the “maze” of the ABC garden beds. Here’s the ultimate “before” shot 🙂 It seems so bare! As we said … the Garden was a pilot project. It’s almost as if they didn’t think we would be around long enough to warrant digging up all the asphalt. Each bed has a small amount of parking lot cut out underneath for drainage … this means all they had to do was pull out the beds and pave in the missing pieces if the programming didn’t work out. Even though they thought we wouldn’t last … we are very glad they left the asphalt in place! 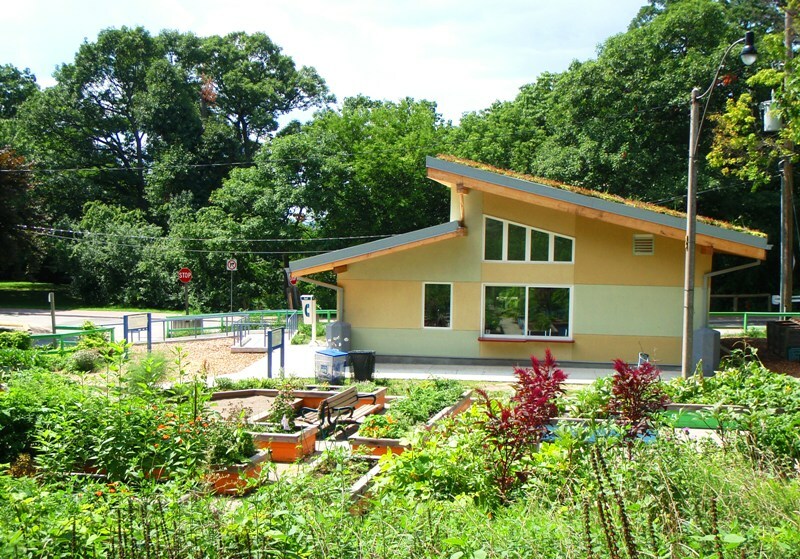 The paved surface and our raised beds make the Children’s Garden fully accessible. We love the fact that anyone can come and visit our Garden to learn about growing (and eating 🙂 ) organic fruits and veggies! As the years progressed, our programming grew. We used more and more of our garden harvest for cooking programs and feeding folks during our events. This meant lots of dishes done in cold water and creative cooking set-ups. Sadly that tree is no longer there … but we do have a nifty new Children’s Teaching Kitchen sign you should check out next time you stop by! 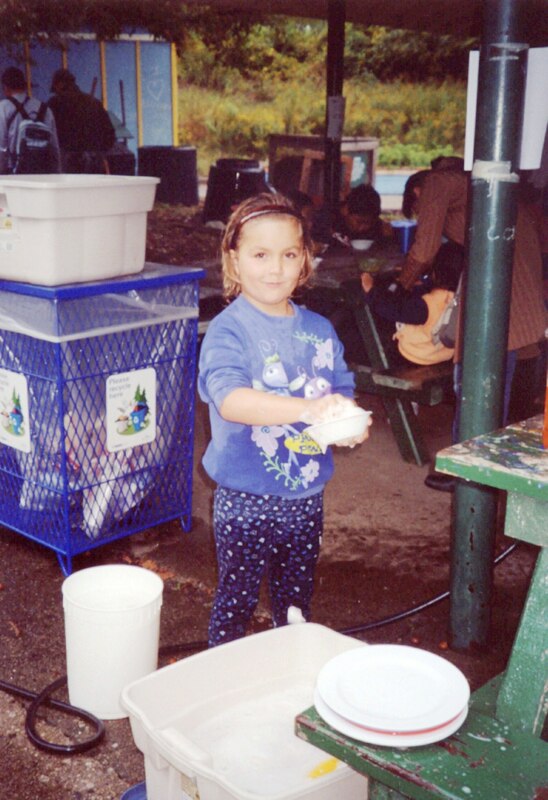 Over the years many parents have been astounded by the willingness of their children to do dishes at the Garden (they’re often astounded by the fact they eat vegetables there too!). It must have been the novelty of the Rubbermaid bin set up we used. 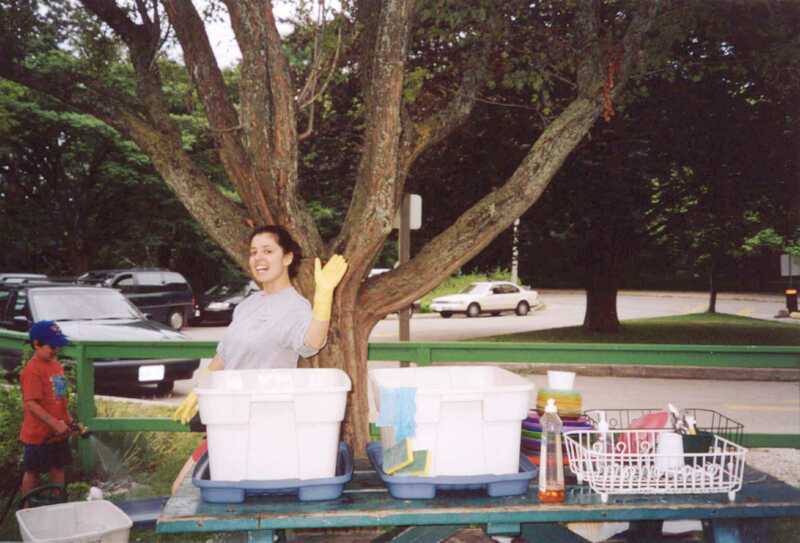 For our events we would have to drag our “kitchen” around in 10 – 15 of those Rubbermaid bins back and forth to the Rec Centre we used to cook the food, to the Garden the next day to serve the food and back to our office near King and Strachan to clean everything up and store it … whew! Double Chocolate Zucchini Cake anyone? Not only was all this travelling back and forth a waste of time and gas, we also found that our Youth Cooking Program Participants, who helped us cook all this food, missed out on the important steps of growing and harvesting the fruits and vegetables they cooked with. 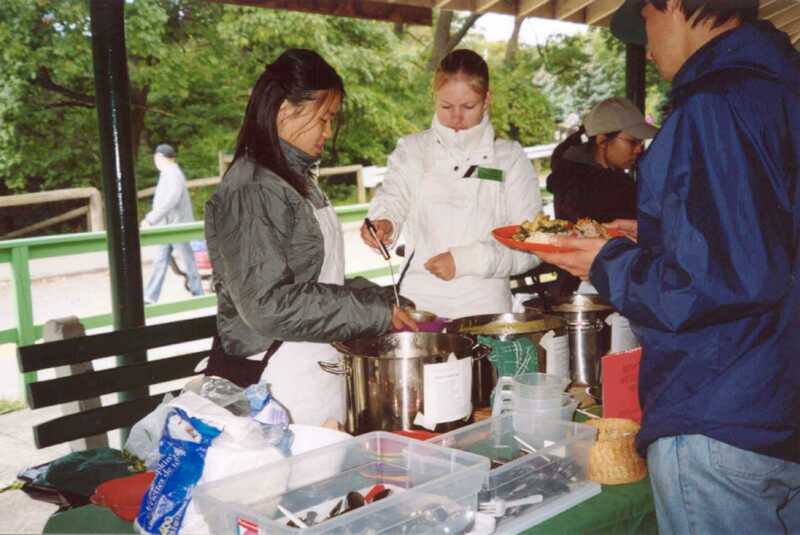 It was also very time consuming for our Program Instructors and Camp Counsellors when they cooked with veggies during our school and camp programs. 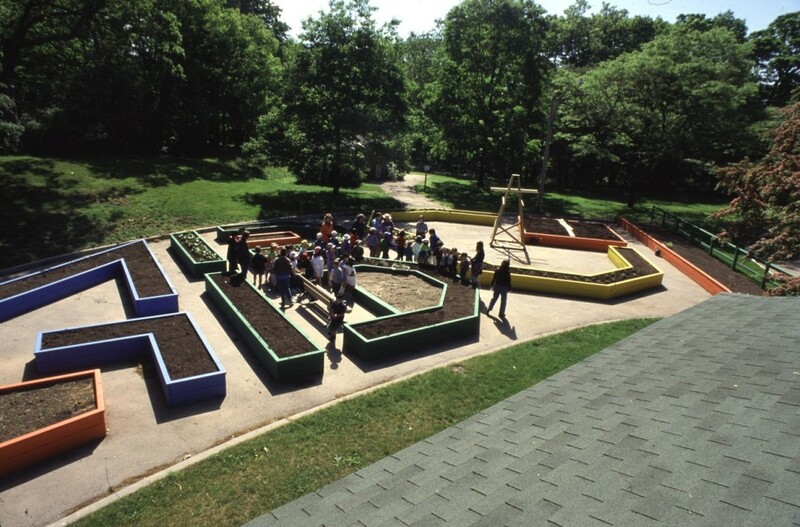 So in 2004 an idea came to mind … an idea to add a kitchen to the Children’s Garden site. The idea was to use the original footprint of the shelter for the building and create a healthy, environmentally sustainable space for everyone to enjoy. 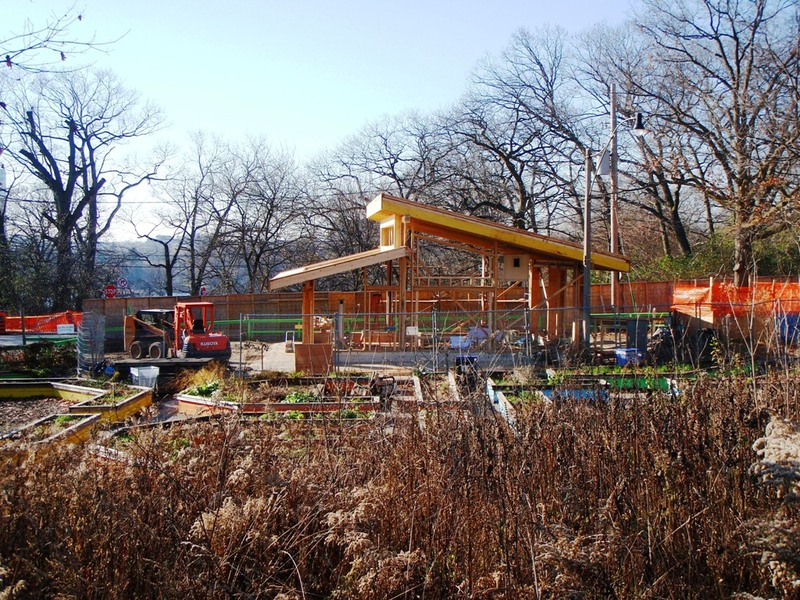 After seven years of research, planning … and good old City of Toronto red-tape, our straw bale Children’s Teaching Kitchen was finally under way! Check out From Caterpillar … for the full Kitchen construction story. With the addition of this wonderful Kitchen we now have the opportunity to show children and community members the whole growing and cooking process of our food. We’ve started many new cooking programs and children are learning to eat more veggies than ever before! We are so happy to be able to provide our community and the City with such great programs and we thank you for all of your support and enthusiasm over the past 15 years! 2012 Annual Report … It’s Amazing How Much Our Participants Do! My how time flies when you’re having fun! It’s amazing what our participants, volunteers, staff and partners have been up to this year. If you’re interested in learning more click on our 2012 Annual Report below. Only a Few Spaces Left for Our Winter Programs! 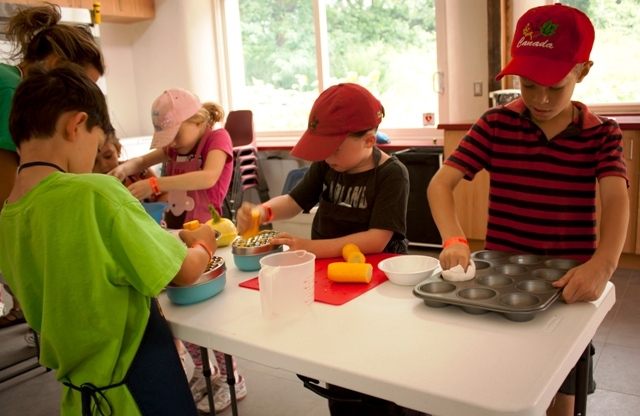 Cooking, hiking, crafts, leadership and adventure … just a few things happening this winter at the High Park Children’s Garden and Teaching Kitchen. 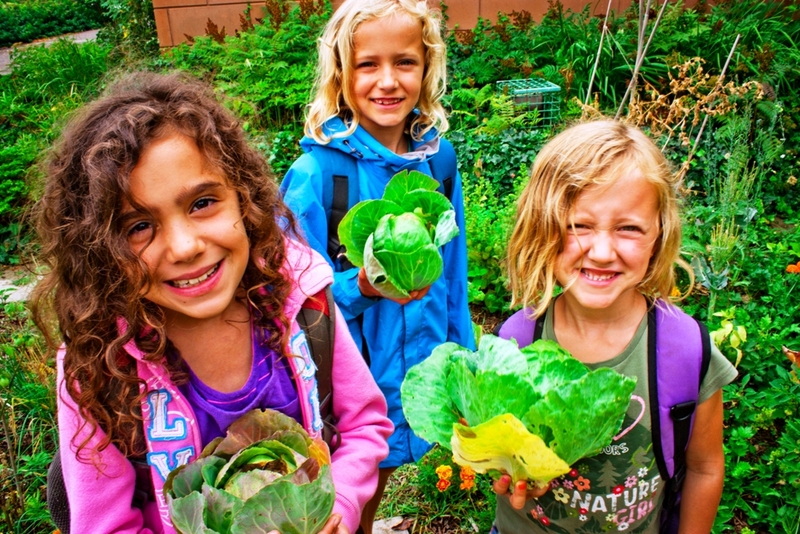 Check out our full line-up of Winter Break Workshops, Children and Youth Cooking with Veggies classes and our Eco Leadership program. Registration for our March Break Camp starts on Saturday, Dec. 8 at 7 am. It’s an action packed week of nature exploration, cooking, crafts and a garden project or two. You can register for all classes online through the City’s FUN Guide or by calling 416-338-4FUN (4386). You can also drop by your local Community or Recreation Centre and sign up. School Programs Now Available Fall, Winter and Spring! Have you heard the news? We now offer our great environmental and outdoor education programs throughout the fall, winter and spring. Your class can join us and learn about the amazing natural urban spaces we have here in Toronto. We offer our Garden Programs for a few more weeks and our Hiking Programs throughout the rest of the fall and winter. All of our programs are linked to the Ontario Curriculum and provide students with hands-on activities to help them learn about and explore our natural environment. We’re also developing a number of programs related to our new Children’s Teaching Kitchen check back soon for more information! It’s that time already 🙂 Time to register for our fall programs. 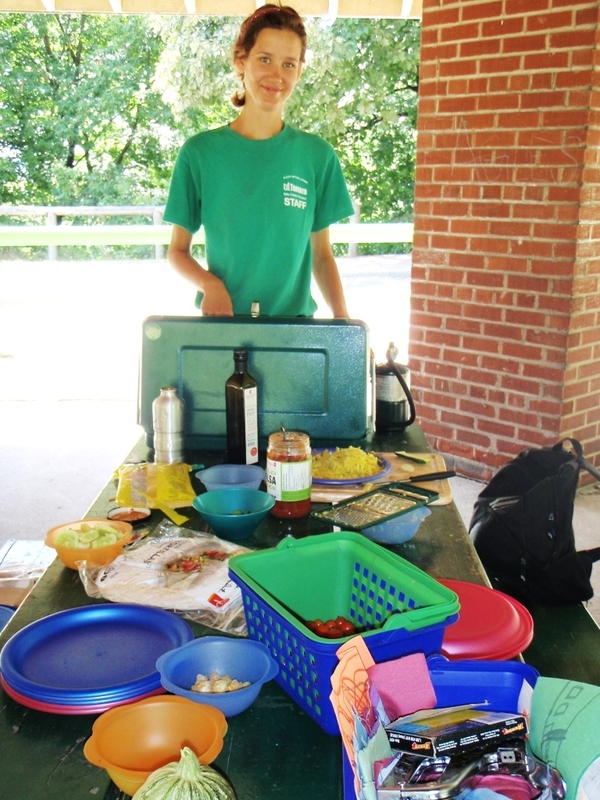 We have kids and youth cooking with veggies programs plus our outstanding Eco Leader In Training course. Do you have a budding environmental leader in your home? This leadership program will discuss environmental issues but also give your young leader the opportunity to develop and practice leadership, facilitation and communication skills. 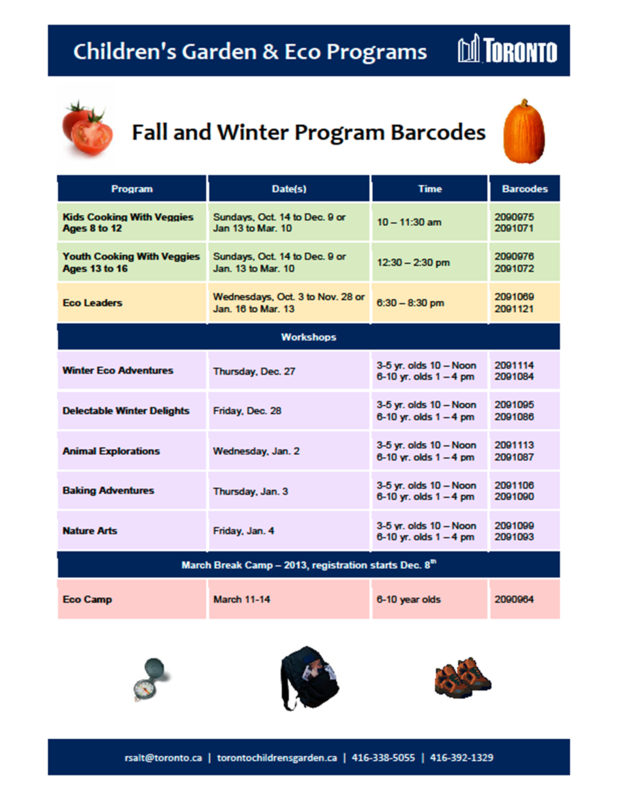 Click Here for the downloadable .pdf of the course barcodes for this fall and winter. Nobody Panic! We’re Still the Same CG and ET Programs You Know and Love! In fact what’s actually happened is we’ve expanded beyond our original two programs to now include a Children’s Teaching Kitchen (you may have heard of it) and Sustainable Building and Renewable Energy workshops/seminars (we’ll have to work on the title for that one!). 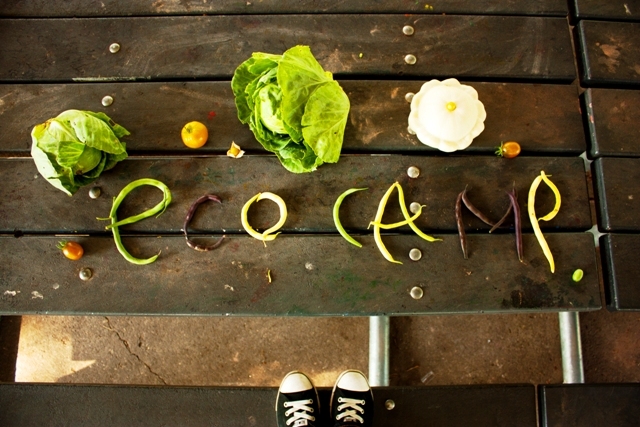 Children’s Eco Programs covers all of our great environmental education endeavours (sorry!) in one simple title. For the history buffs in the crowd the story behind the extra long title is pretty simple – once upon a time there were two separate programs, one called the Children’s Garden and one called Exploring Toronto. Alas, as often happens in a setting such as ours, funding for both programs was reduced and joining forces was the best option for saving both programs. Thus a star was born … with a really long title! It’s all rather exciting 🙂 Our new program title will now fit on our business cards too. So here’s to many more years of gardening, hiking, cooking and fun! Fall curriculum-linked school programs available both in the Garden and on the Trail … look for new programs in the Kitchen coming soon!